Hear It Live! FBC Jacksonville Worship Orchestra performing “Terezin with You Are My Hiding Place”. "Terezin" written by Richard Kingsmore; arranged and orchestrated by Richard Kingsmore. "Terezin with You Are My Hiding Place" written by Richard Kingsmore/Michael Ledner; arranged and orchestrated by Richard Kingsmore. (c)2010 Kingsmore MusicWorks, Inc. (ASCAP). All Rights Reserved. IMPORTANT: Please respect Richard's copyright and do not share, trade or distribute his music without his permission. Doing so impairs Richard's ability to create more music. The music you purchase is for your orchestra only. Thank you for supporting Richard's music in this way. HEAR IT LIVE! FBC Jacksonville Florida's Worship Orchestra performing NextGen Orchestra's "When I Survey the Wondrous Cross with O Sacred Head Now Wounded" and "Our God"
We have enjoyed using the NextGen Orchestra arrangements by Richard Kingsmore immensely! Richard and I have been friends for many years and have worked together on a number of arranging projects and his work has always been excellent, creative and accessible. That is still true today with the NextGen charts. I am always looking for stand-alone orchestrations that will work well as preludes and solo works for our worship services. The arrangements are attainable but not simplistic sounding in their presentation. I really like the flexibility that you are given by having two different mixes - one of the lead guitar mix and the full orchestra mix. Keep up the great work! I have ordered several of the NextGen arrangements and have been pleased with them all! They are all well-crafted arrangements that are great for any group. They are flexible in that you have the option to feature a soloist or the full orchestra, and with the STEM files option you can use it with any size group using the STEM files to “fill in” any instrumental deficiencies you may have. These arrangements have been well received by my orchestra and congregation alike, I highly recommend them! NextGen Orchestra arrangements have been an incredible asset for our worship orchestra. Our players really enjoy the touch Richie has put on some wonderful selections that range from the classic hymns to modern worship songs. Richie has made these arrangements very accessible to the church musician and the flexibility of the instrumentation makes it usable for any setting. Our congregation is blessed as we use these arrangements on a regular basis in our worship services. These are fantastic arrangements of modern worship songs that are the same high quality you would expect from Richard Kingsmore. The titles are scored so all players will enjoy playing them, while still being accessible to younger musicians. Anything that Richard writes is golden!! It is good in this day and age that someone still writes for the church orchestra, and he is a major talent. I particularly appreciate that he still writes hymn arrangements but he turns out contemporary music that our congregations appreciate. His NextGen Orchestra Series puts the church orchestra on the cutting edge. He can’t turn ‘em out fast enough for me! 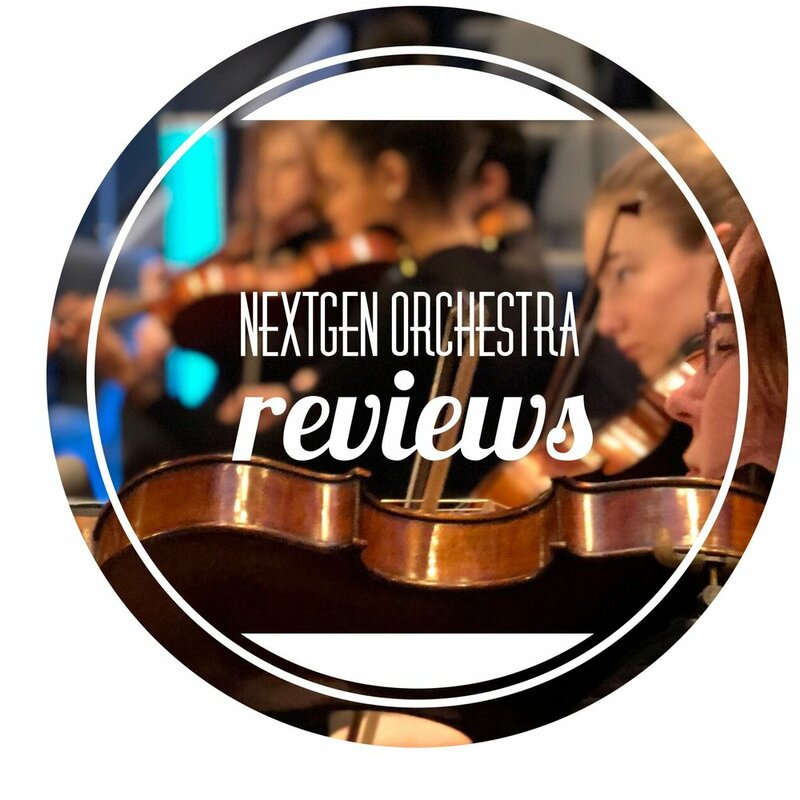 I have been searching for creative instrumental arrangements of newer worship songs for a long time and the NextGen Orchestra series is just what I have been looking for. These arrangements are extremely useful to our church's worship ministry. Kingsmore writes idiomatically for the entire orchestra while preserving the original style of the song. This makes it fun for the listeners AND the players. I was also thrilled to see WAV files offered, making it possible to fill any holes and utilize percussion loops and synth pads for that extra "edge". In a day when many churches are failing to see the benefit of an instrumental program, arrangements like these will help to keep church orchestras useful and relevant.